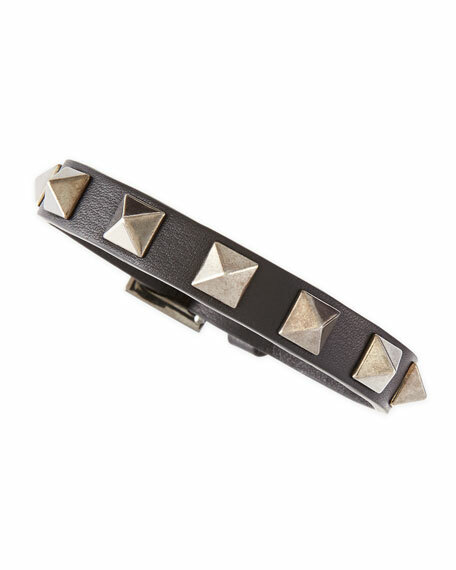 This Valentino bracelet makes it possible to add a small dose of the house's dramatic design aesthetic to any ensemble. 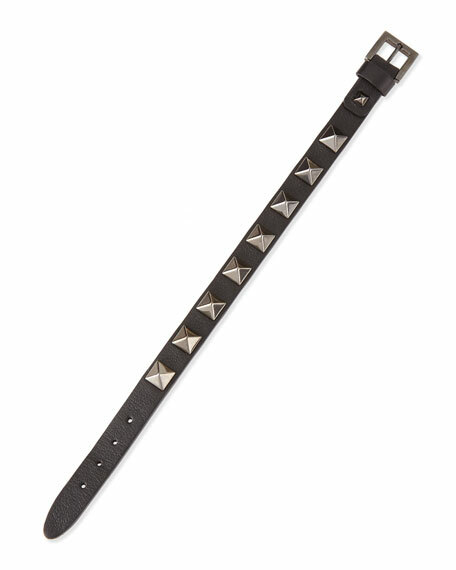 Leather Valentino bracelet with antiqued hardware. For in-store inquiries, use sku #156999.